How many children experience ear infections? Ear infections or fluid behind the eardrum is the main cause of hearing loss in young children, most commonly affecting children up to approximately 7 years of age. 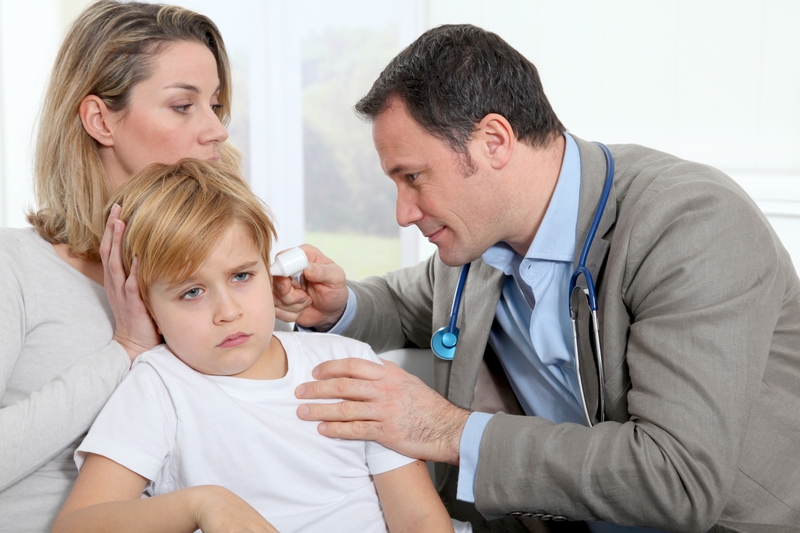 Nearly every child will have at least one ear infection. Ear infections are the second most common illness in children. Untreated ear infections can cause more serious medical/hearing problems. Children’s ear infections are formally known as otitis media. Fluid and/or infection can collect behind the eardrum and may cause hearing difficulty. Signs and symptoms of an ear infection in young children may include the following: pain, fever, fussiness, tugging on the ears, discharge or blood coming from the ears. Some children may not show any signs at all. Why should you be concerned about ear infections? Ear infections can cause temporary hearing difficulties. Children with ear infections may hear sounds as muffled or unclear. Ear infections may also contribute to poor development of listening skills, as well as difficulties with speech and language, learning, attention and behavior. I gnoring ear infections may result in serious medical and/or hearing problems. If ear infections go untreated, one possible result could be a cholesteatoma. A cholesteatoma (ko-less’-tee-a-toe-ma) is rare, especially in children. 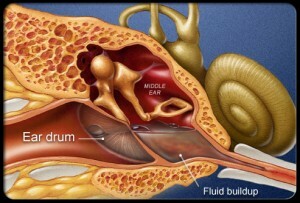 Typically, it is a growth in the middle ear – usually in just one ear but it is possible for it to affect both ears. This growth can sometimes be present behind the eardrum at birth but it is more typically for it to develop later, sometimes as a complication of middle ear infections. A cholesteatoma is not a tumor and is not cancer. The hearing loss related to a cholesteatoma can range from 15 dB up to 60 dB and typically affects low pitch sounds more than high pitch sounds, although all hearing may be affected. If a child has a conductive hearing loss in one ear that won’t get better then it is appropriate for him/her to use a hearing aid on the ear with the hearing loss. There are different options for hearing aids for people with conductive hearing loss and your audiologist can help you decide which device would be most appropriate. Children who started having ear problems early (0-12 months), and frequently (more than 3 per year) are at the greatest risk for developing learning, attention and behavior issues secondary to inconsistent hearing. Mass school-hearing screenings used to be commonly implemented and were an effective way to identify hearing loss and potentially related middle ear involvement. 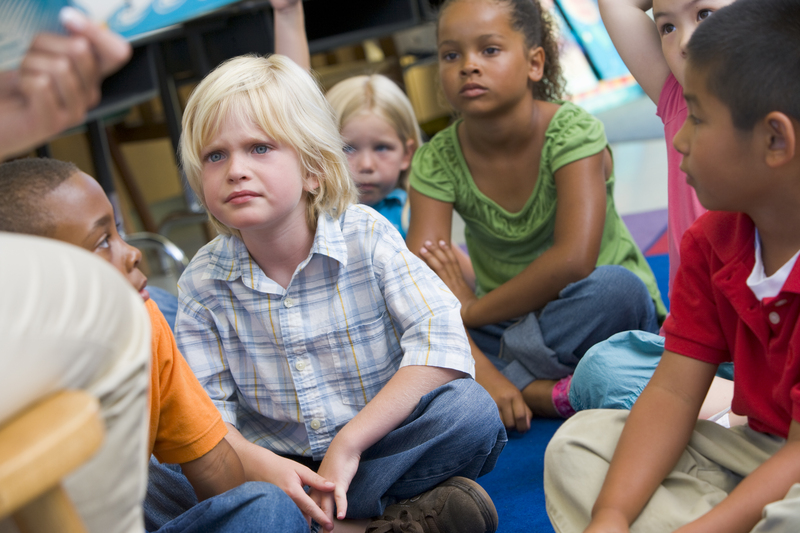 Because hearing screenings are now typically limited to Kindergarten or First Grade it is important for parents and teachers to be aware of chidrens hearing/listening behaviors. During Preschool/Kindergarten it is important to identify the children who have a history of ear infections, hearing loss in the family or whose family members have been concerned about the child’s hearing. The History of Ear and Hearing Problems Parent Checklist was designed to be completed by parents (on paper or in an interview format) during school hearing screening in early childhood but can also be used to highlight awareness of behaviors that are related to potential hearing loss. Read more on the Ear Infections and Learning page. Posted March 2017. Sincere thanks to Krista Yukow, educational audiologist, for contributing to this content!